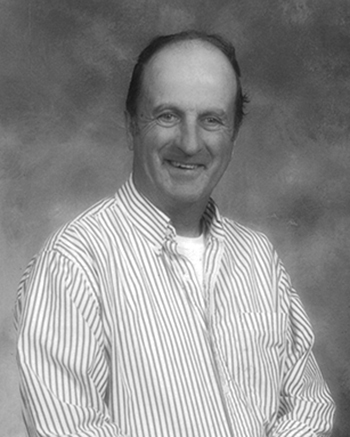 Larry Gerald (Pike) Marsh was born March 24, 1942 in Moosomin Hospital to Joe and Lauretta Marsh. He passed away peacefully with family by his side July 16, 2018 in Moosomin Hospital. At an early age Pike loved trucks. He began this career at an early age and continued until his health failed him. In 1992 Pike was diagnosed with MS, which went into remission and in 1994 he got his license back and started working for farmers at seeding and harvest. Pike loved life, had a quick wit and sense of humor. Loved a good card game, a party, a drink and dancing. He loved dogs and fed the squirrels, birds and stray cats. Loved his family and spending time with grandchildren. Pike is survived by his loving partner of 30 years Bernice Hey. His sons Aaron (Rick), Larry (Caralee) and grandchildren, Jessica (Kale and Zaiya), and Brady. Bernice’s family Shelley (Tim) Wenstob and family, Zach, Melissa and Makenzie. Ryan (Marcy) Rowan and family. Chelsea (Brenden) and Davis Weier. Caitlin and Kenny (Kaylin). Coralie (Wes) Rozak and family, Randy and Clayton. Greg (Laura) Rowan and family, Raquel and Ryker. By his sisters Joyce Bryant and Helen Stewart. His brothers Allan, Ronald (Elvy), Bill (Susie), Bruce (Sheila) and sister-in-law Kay and many nieces and nephews. Predeceased by parents Joe and Lauretta Marsh. In-laws Fred and Inez Hey. His brothers Orlie and Bud. Sisters-in-law Margaret and Betty. Brothers-in-law Art Bryant and Lloyd Stuart. Funeral service was held at Carscadden’s Funeral Chapel in Moosomin, Sask. on July 25, 2018 with Donelda Taylor officiating. Interment in Welwyn Cemetery. If friends so wish memorial tributes may be made to the Moosomin and District Health Care Foundation or Elkwood Manor Auxiliary Ladies in memory of Pike. G.R. Carscadden Funeral Chapel Moosomin, Sask. in charge of arrangements.